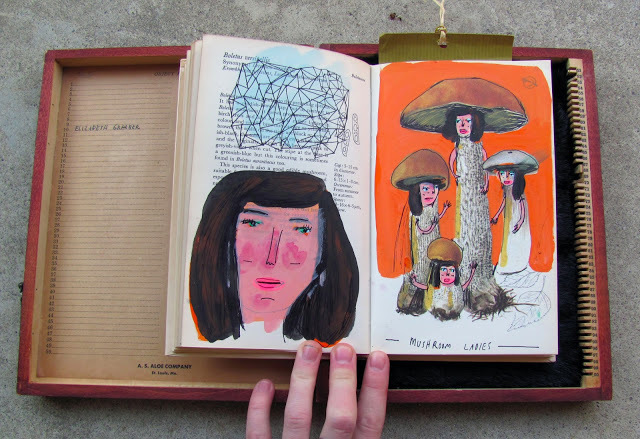 Having many pages, books and are conducive to collaboration. 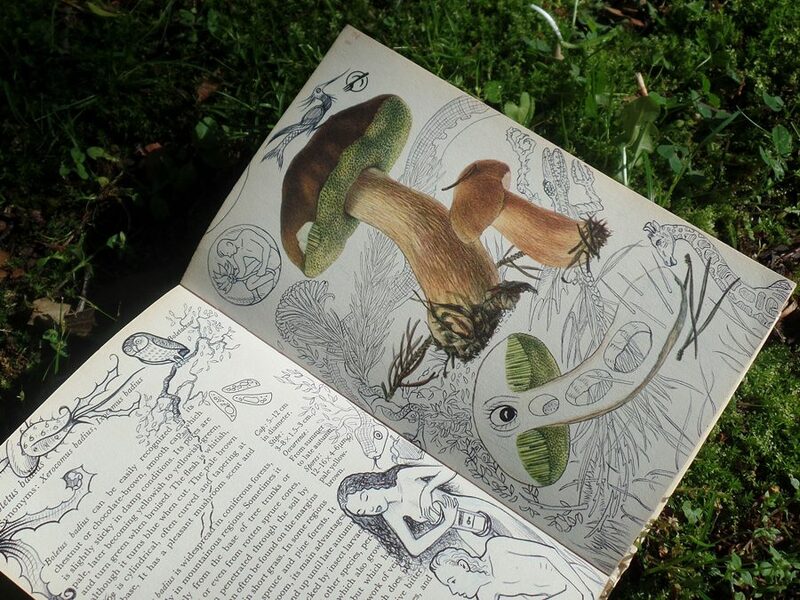 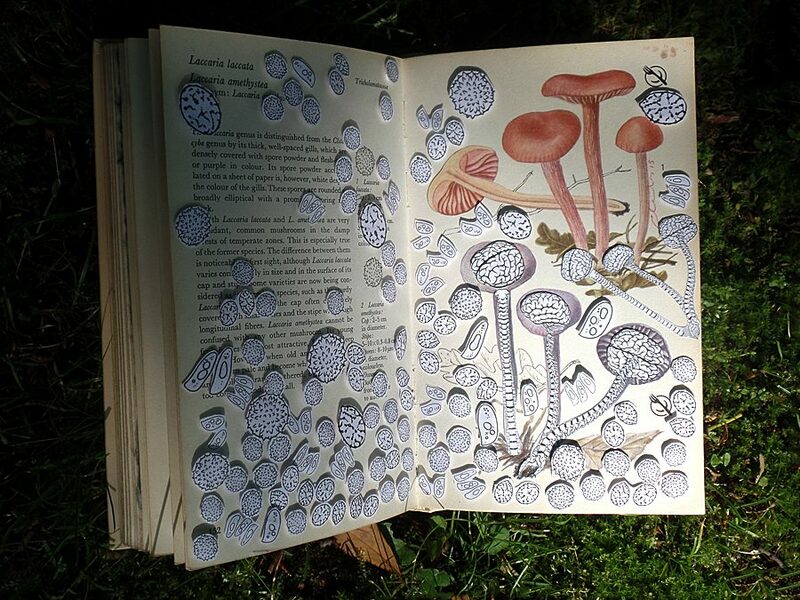 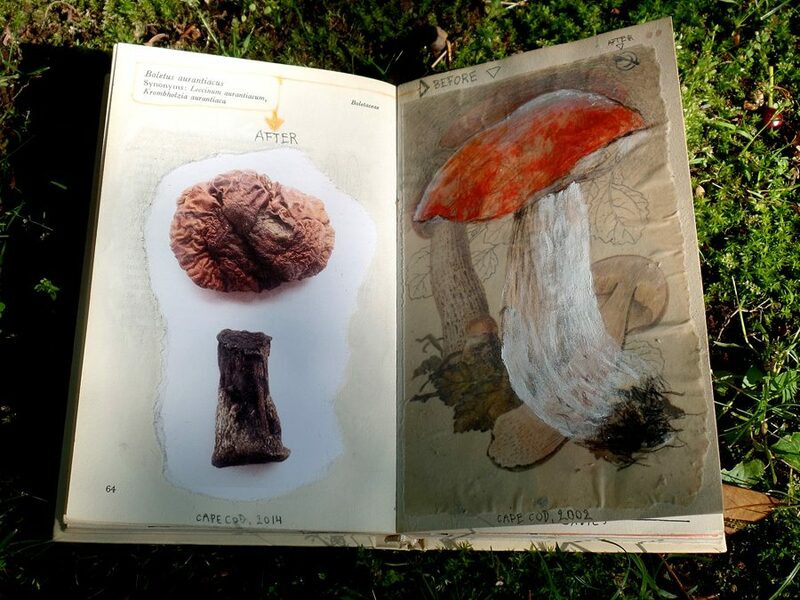 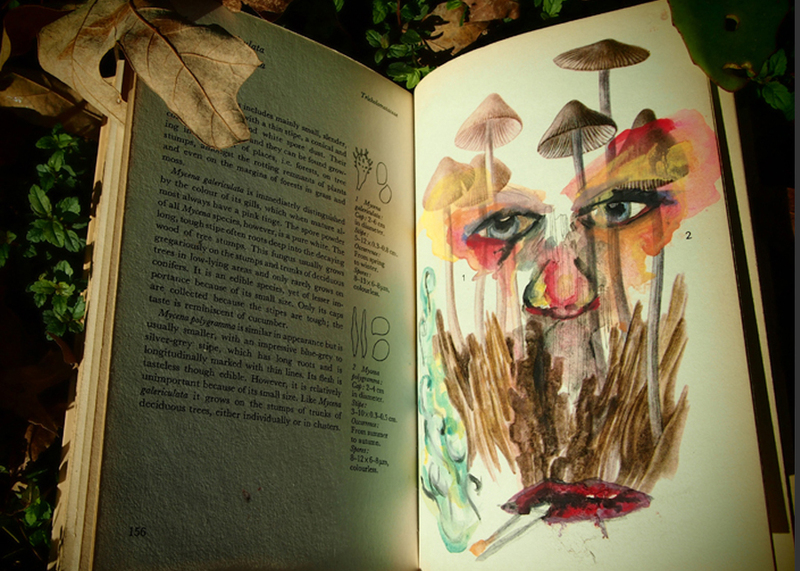 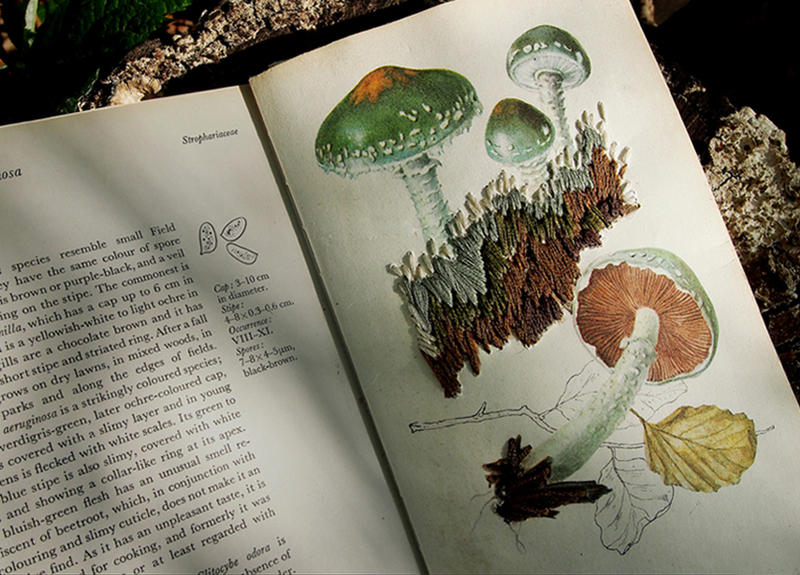 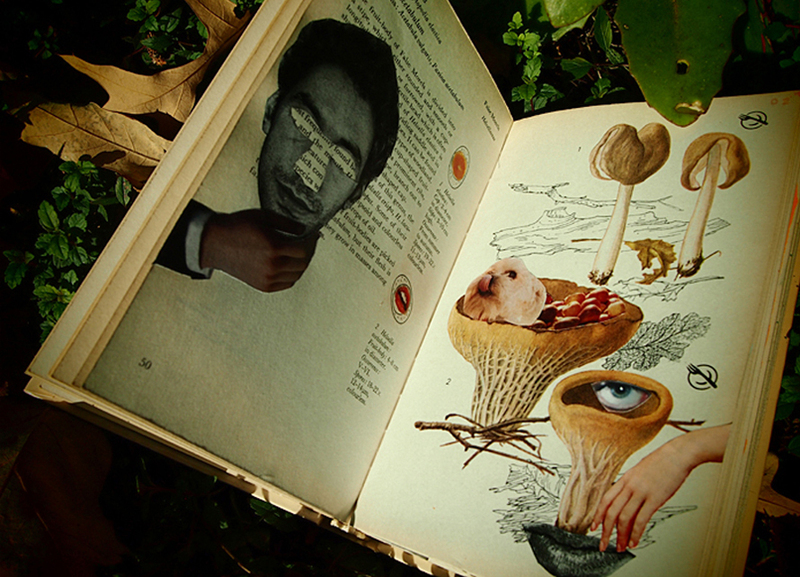 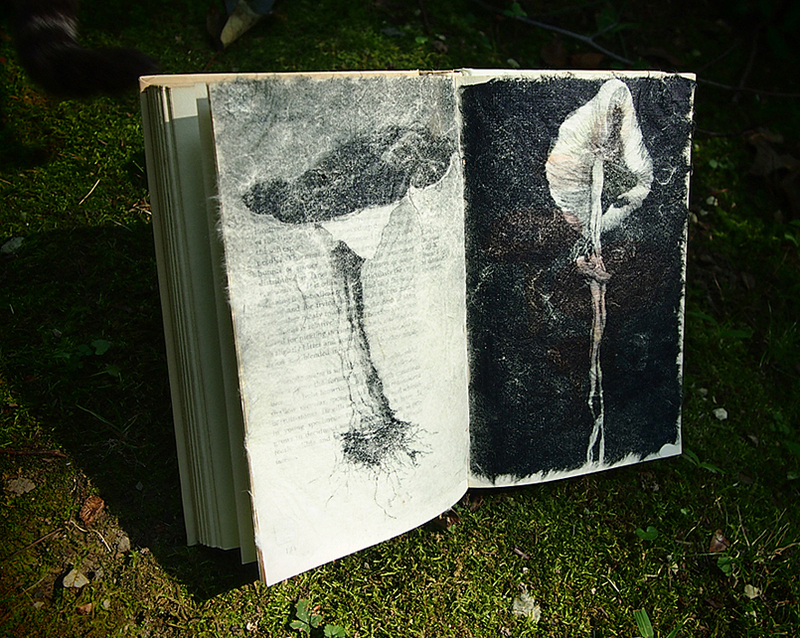 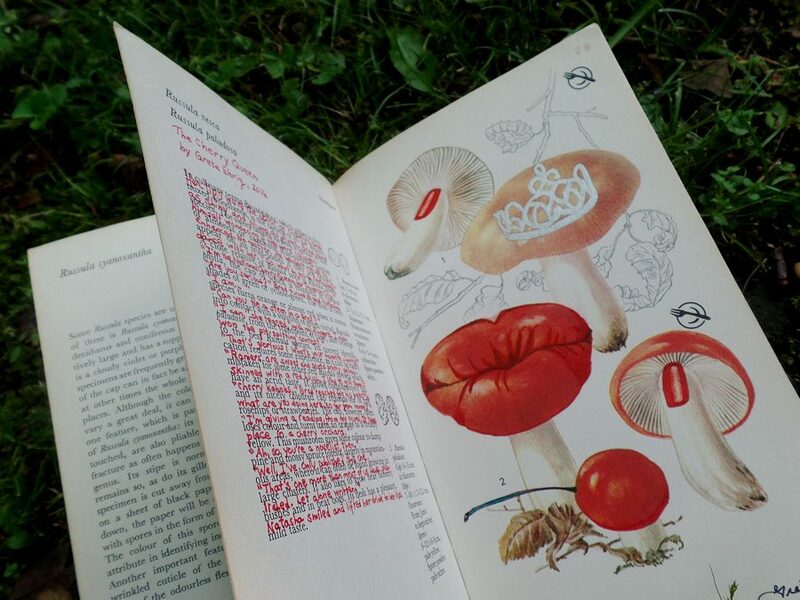 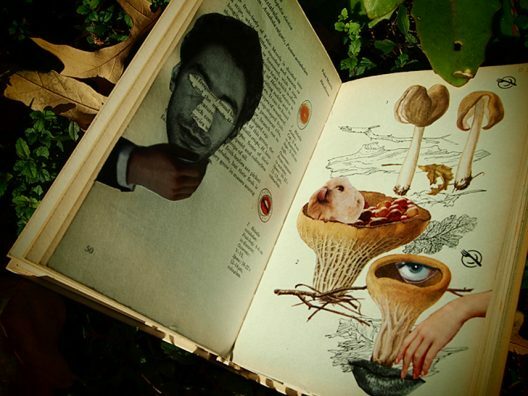 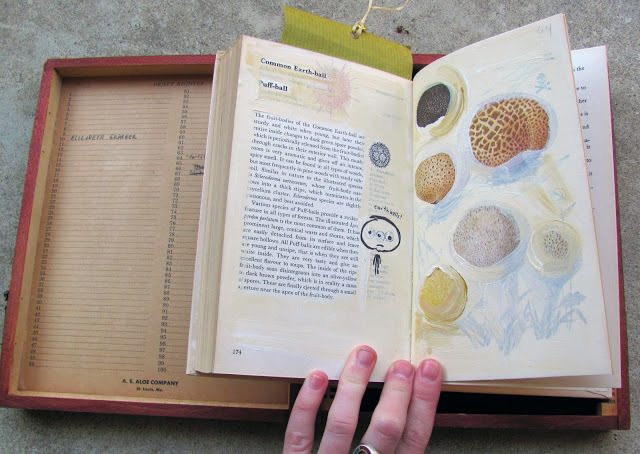 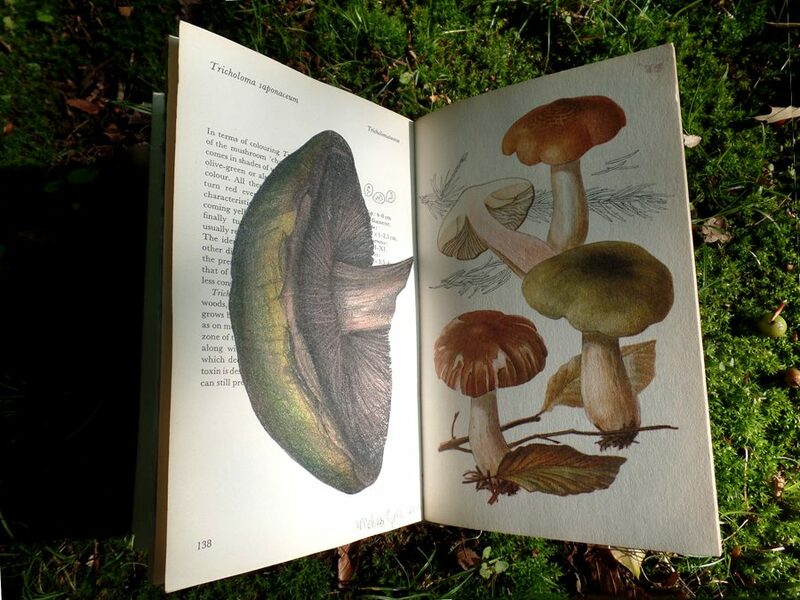 “The Mushroom Book” invites artists to alter a page of an illustrated guide to mushrooms. 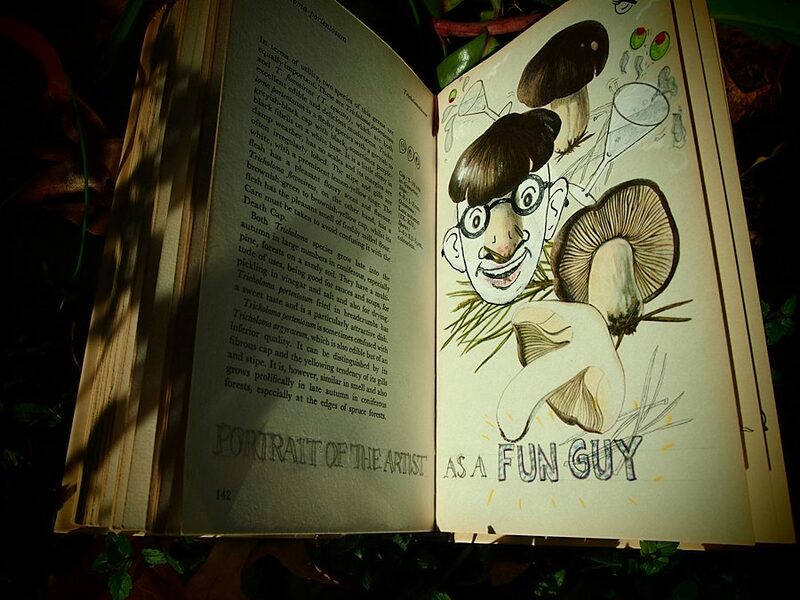 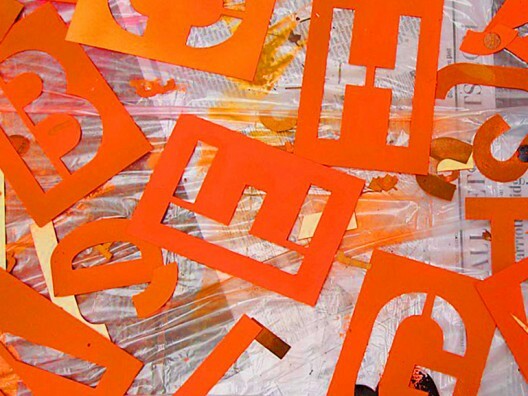 Copyright Marty Ittner, All rights reserved.